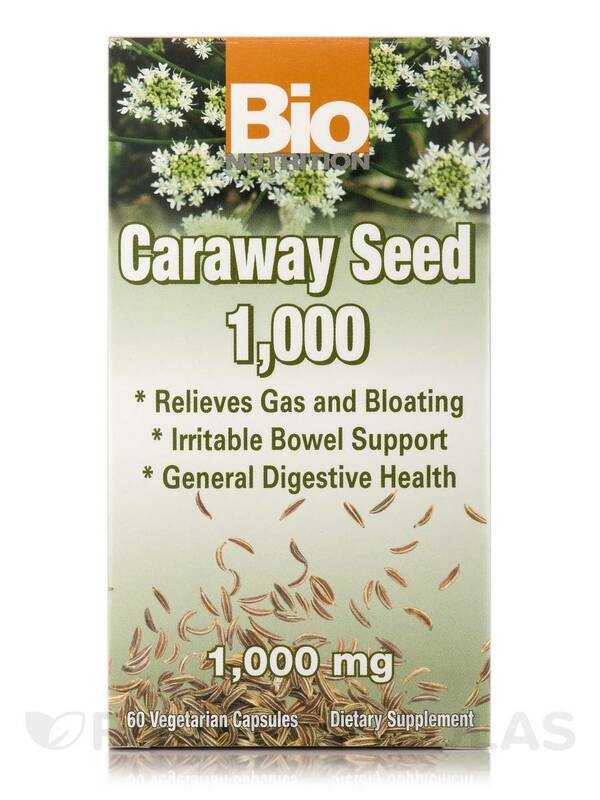 Caraway Seed Vegetarian Capsules from Bio Nutrition Inc. might help relieve gas and bloating and support overall digestion. Carum carvi or caraway seeds are grown in parts of Europe‚ North Africa‚ and Asia Minor and have been traditionally used to relieve digestive problems. 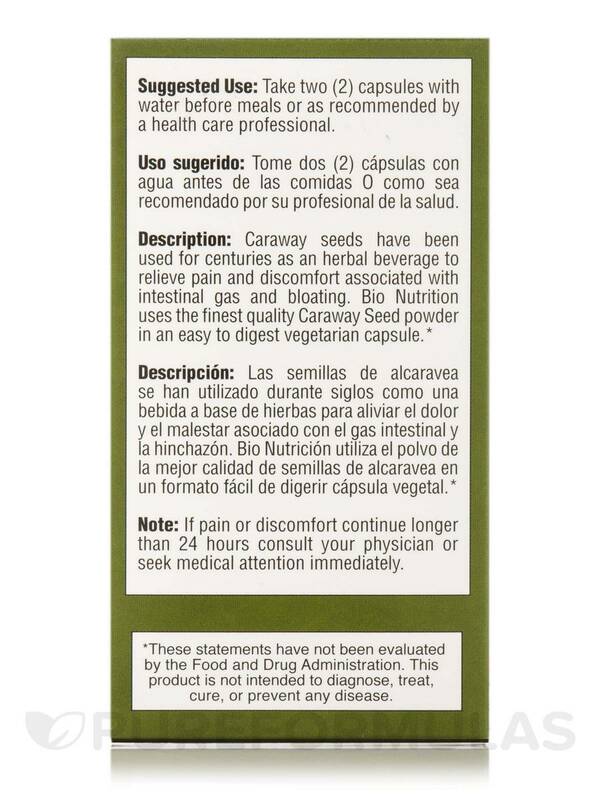 This supplement from Bio Nutrition Inc. might help improve urine control and relieve constipation. It may also help relieve mild spasms in the stomach and potentially reduce menstrual cramps. 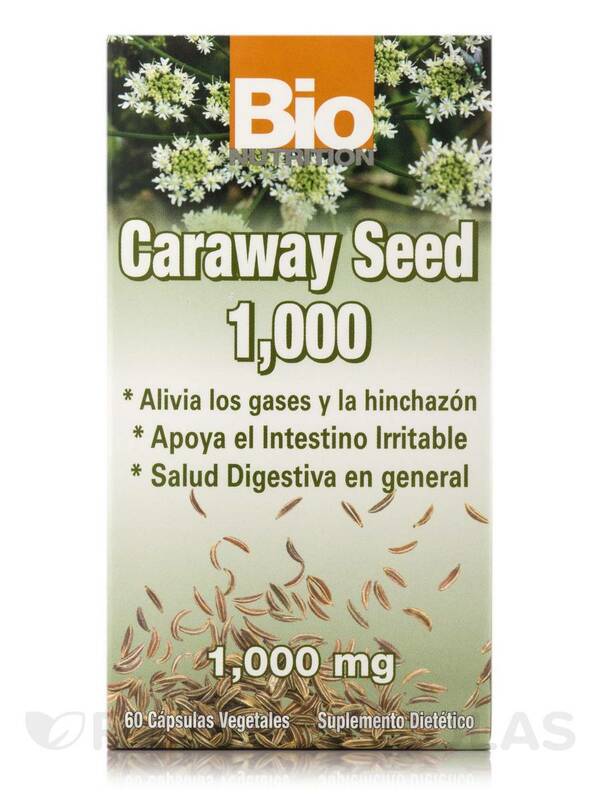 Caraway seeds are rich in dietary fiber‚ which could in turn increase the bulk of food and prevent constipation. Fiber could also bind to the toxins in the food and protect the mucus membranes in the colon. Caraway may also contain various essential oils that may have antioxidant properties. Antioxidants could help prevent the activity of free radicals and help keep the cells healthy. Caraway also provides iron‚ copper‚ calcium‚ potassium‚ manganese‚ selenium‚ zinc‚ and magnesium. The body needs these minerals in varying proportions for various functions‚ like the formation of red blood cells‚ growth and development‚ and digestion. 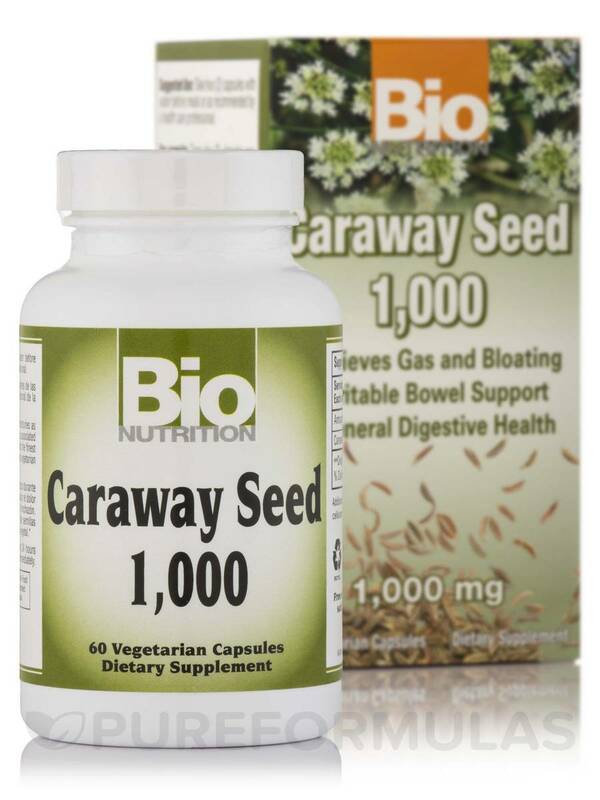 The caraway seeds extract provided by Caraway Seed Vegetarian Capsules from Bio Nutrition Inc. are also rich in vitamins A‚ E‚ C‚ and certain B vitamins to support overall health. 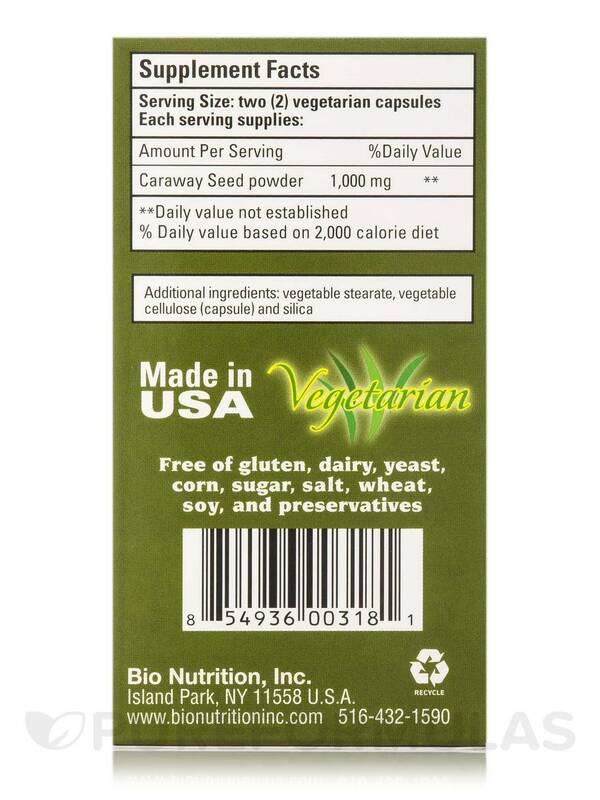 Additional Ingredients: vegetable stearate‚ vegetable cellulose (capsule) and silica. If pain or discomfort continue longer than 24 hours consult your physician or seek medical attention immediately.